Objective: The participants of this Training school (students, researchers, industry representatives, and other participants) will learn about sensory evaluation of boar taint, how to train the panellists and measure their performance, how to use the “human nose methodology” to assess boar taint. The school includes both courses and practical training. Date: Monday 8th October 2018 (15h) to Wednesday 10th October 2018 (13h) Place: IRTA-Monells, Finca Camps i Armet, 17121 Monells (Girona), Spain Click here to download the detailed programme. The training school “Sensory evaluation of boar taint: Methods for assessor selection, good sensory practice and performance evaluation“ took place between October 8th and 10th 2018 at IRTA Centre placed in Monells (Girona), Catalonia, Spain. 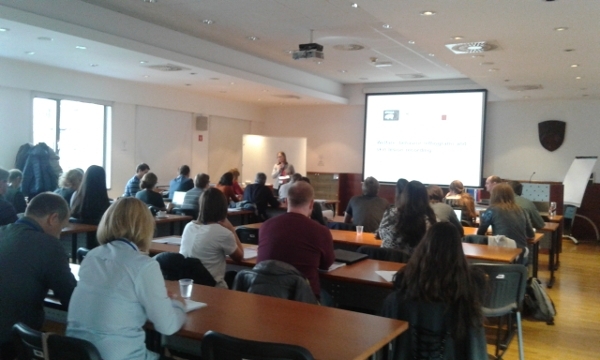 A total of 18 trainers participated, from 9 EU countries. 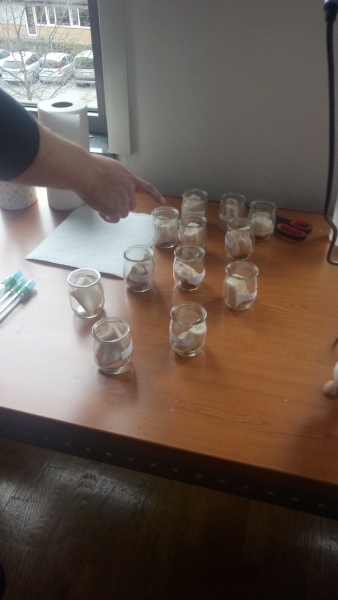 Training was performed by four trainers from 3 EU countries and it took 16 hours.The training school combined some theory with practical aspects about the selection and training of panelist to perform the human nose evaluation of boar taint. Theory included instrumental detection of boar taint, introduction to sensory evaluation and introduction to the human nose methods. Some theory about methods for selection of assessors and for determine the performance of the panel was also provided, as well as information about consumer studies and alignment between consumer acceptance and panelists. Practical sessions were carried out in a laboratory and in the auditorium. In the laboratory different tests for selection and training of panelists were performed by the participants both, using smell strips with different levels of androstenone and skatole, and using real fat from boar and castrated pigs with known levels of androstenone and skatole, heater in a microwave and using the hot iron. In the auditorium the performance of the trainees as panelists was calculated. 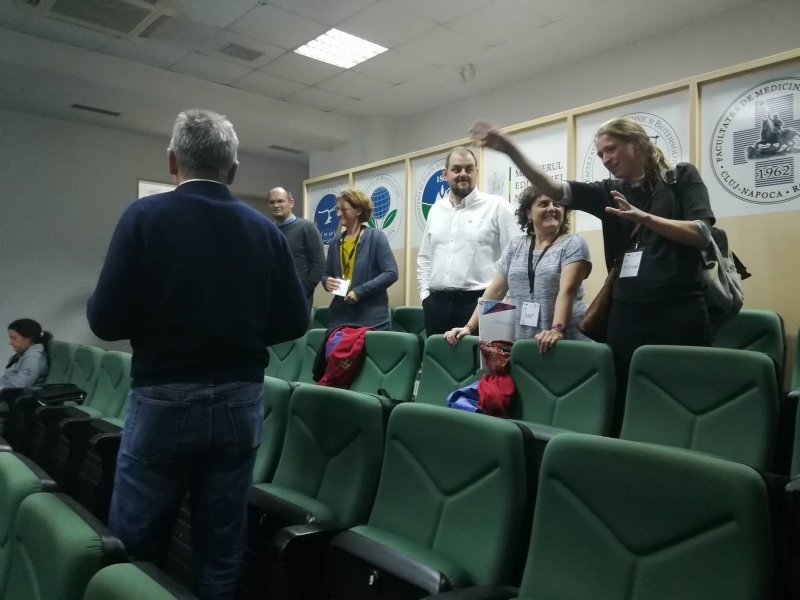 Results and methodologies were discussed among all the participants during all the sessions.Participants were highly involved and interested in the different trials and talks carried out, they learn a lot and they will be capable to prepare a sensory panel for the evaluation of boar taint. Lunch was also organized and it was a good moment for discussion and networking. Furthermore, a social event was organized in Girona on Monday night and the participants had a good dinner and spent a nice evening together. Click here (part 1) and here (part 2) if you want to see presentations from the training school. Training school on "Harmonisation of methods in entire male and immunocastrate research"
27 trainees from 15 countries attended the training school, of which 12 came from Target Inclusiveness Countries (Croatia, Czech Republic, Etonia, Portugal, Slovakia, Slovenia) and 6 from Near Neighbour Countries (FYR Macedonia, Serbia). Further to the presentations, practical training was also given for dissection of genital tract. 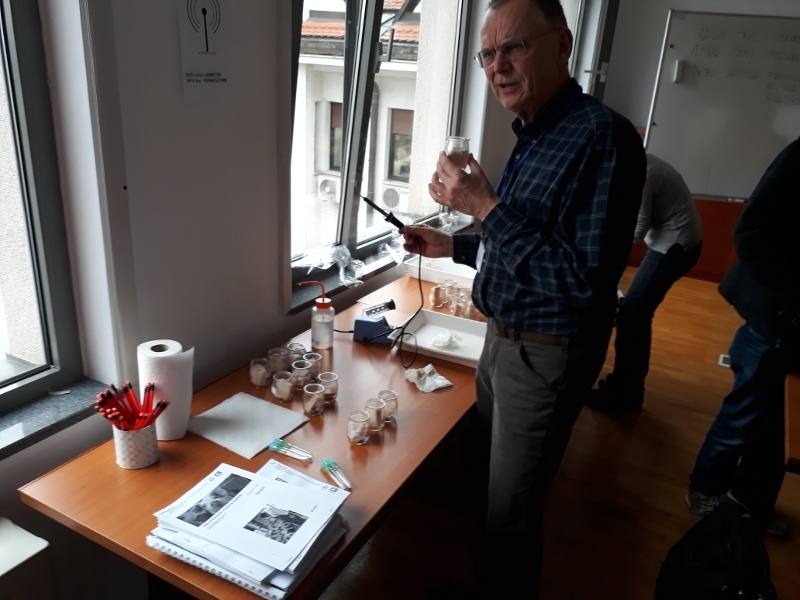 A short demonstration of the human nose evaluation of boar taint was given as an introduction to the next training school planned in 2018. Click here to see the evaluation of the training school by the trainees. IPEMA invited stakeholders from the pork industry to discuss the issues around piglet castration and present the state of the art of the knowledge on alternatives to surgical castration without pain relief, focussing on the production of entire males and immunocastration. 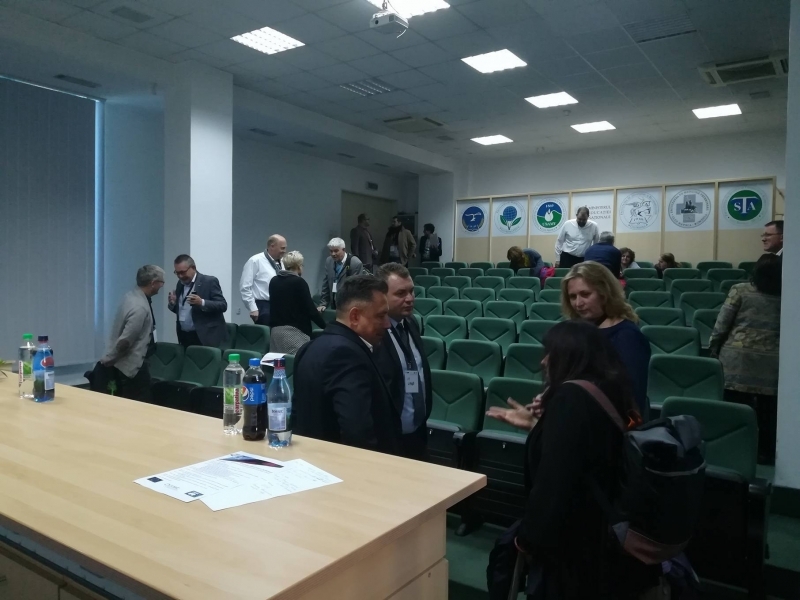 There were lively discussions during the meeting on the possibility to use entire males as an alternative to surgical castration in the Romanian pork production chains. Dr. I. Ladosi clearly presented the challenges for the Romanian pork industry, some of them real difficulties that will have to be adressed. Other issues presented during his talk are no real challenge, underlying the existing gap between the available knowledge and the perception by chain actors. 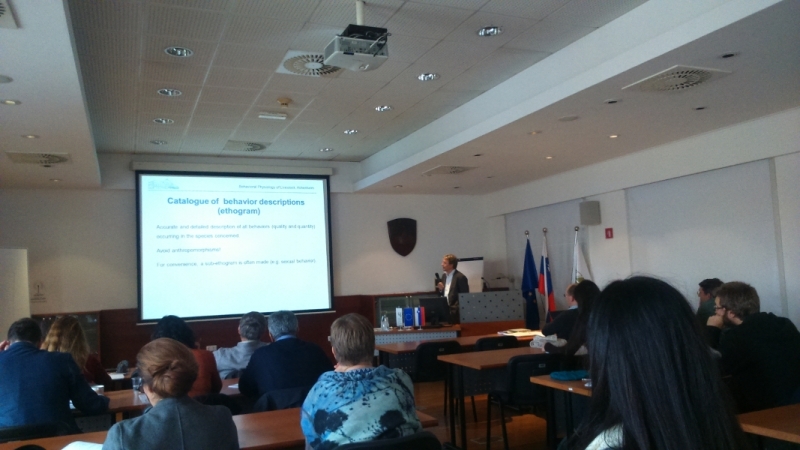 The particular case of local breeds was also extensively discussed between participants. 8-10 October 2018: Training school in Monells. Training schools have IPEMA objectives as their main focus and may also cover appropriate re-training as part of life-long learning. Educational events and training schools can be organized as online or face to face sessions where the general public, students and professionals can find out news and relevant information, learn techniques, methodologies and know-how related to the IPEMA objectives.